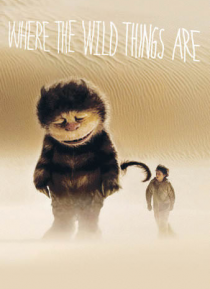 When rambunctious and sensitive young Max (Max Records) feels misunderstood at home, he escapes to an island where he meets mysterious and strange creatures, the Wild Things, whose emotions are as wild and unpredictable as their actions. The Wild Things desperately long for a leader to guide them, just as Max longs for a kingdom to rule. As leader, Max promises to create a place where everyone wil… l be happy, but he soon discovers that ruling his kingdom is far from easy.